I have to admit I don’t do touristy things often, but we decided after Christmas to drive up the East Coast of The United States and visit some of the most famous landmarks, monuments, and tourist attractions. 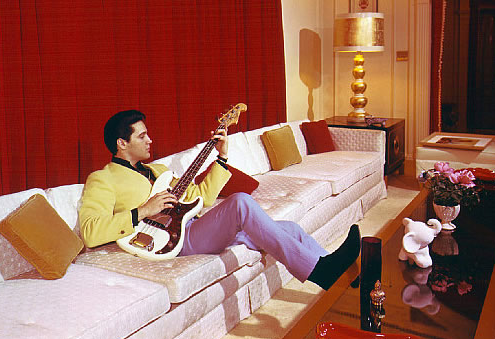 One such Landmark, a Shrine, if you will, is Graceland, Elvis Presley’s permanent residence in Memphis, Tennessee. S! The house itself, on approach, was beautiful, well kept, and conservative in every way – I think it is actually a fine tutor home. However, from the front door, that all changes! 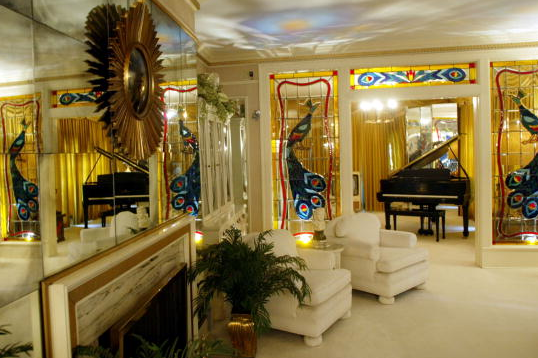 On the right, a guest stumbles into what Elvis called The Peacock Room – brilliantly white sofas, pillows and shag carpet, gold accents anywhere possible, with these fantastic stained glass jewels: 2 full floor-to-ceiling Peacocks outside the smaller, attached piano room – truly spectacular and definitely something to write home about! Across the way was the dining room which was set in full Holiday mode, beautiful too, a little disappointing as it was very conservative. We moved along to Gladys’, Elvis’s mother’s bedroom, which was white and a striking purple – a favourite colour of mine since my senses changed from chemotherapy! The tour did not include the upstairs as, in typical Elvis tradition, it was roped off with grand red cinema rope, he never shared his personal side to anyone but his closest friends and family. 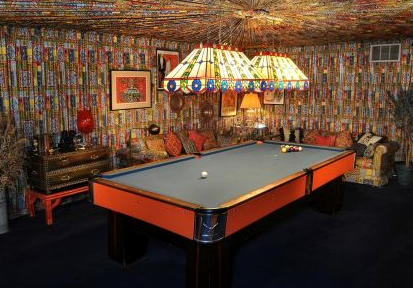 We moved on to other parts of the house like his lounge and the billiards room where he entertained close friends – it still has the original 350 yards of ethnically inspired fabric stretched across the ceiling and walls! He was such a perfectionist in terms of entertaining, he never missed a beat – no pun intended! He was all show and enlightenment, he wanted to make sure everyone enjoyed what he earned through his success. What I gained in knowledge of this grand persona was he wanted to share everything, every aspect of his success to those closest to him. A genuine, humble personality that liked to keep it real. 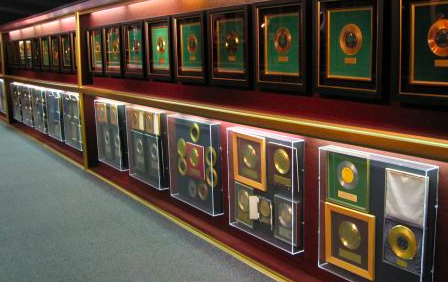 Elvis earned countless gold records and has a special hallway to show for it. However, I think his greatest pride was what he did privately and that was donating money to impoverished people, derelict schools, and the community he grew up in. He even donated money to the Junior League of Memphis! 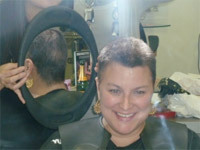 What an outstanding individual!!!! He gave his only child and daughter, Lisa Marie, a private playground, a private barn with ponies, and had a private pool in both Lisa and Priscilla’s honour – the house and the grounds do not disappoint. I mean, a good daddy provides for his girls, right? My all time favourite painting was Elvis In White, a vision, if you will, which personifies who he was. The make-up, the dress-up costumes, and the music, the MUSIC he sang. We were and still are his pawns of disarray and humble abodes. A genuine character, a genuine man who absolutely loved life to its fullest. It’s a hum-anah-hum-anah-hum-a-jig-a-jig-a-jig ladies! 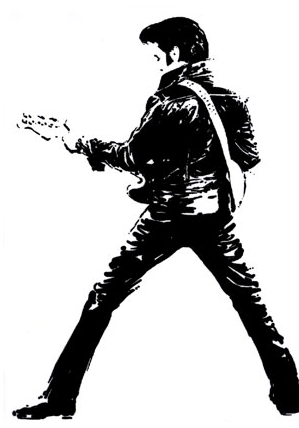 That pelvis that is so Elvis – it is fantastic! For someone like me, an average person in their 40’s and not from his generation, I never really had the chance to really appreciate what he stood for, what he accomplished and how he changed the world. If he were alive today, he would have still moved mountains! I am sick I wan’t there for it! I cannot believe I had never been to Graceland before. I always thought Europe was the place to see History, mainly because it holds so much of it. I never realised America holds so much of it too. I guess when you are a part of it, you never realise what you have until you are somewhere else. I am so grateful I am a part of this nation. I am so grateful that he is a part of my history. If you haven’t been to Graceland, it should be considered a top priority, one of the Wonders Of The World. Elvis personifies everything America stands for and that is anything is possible! 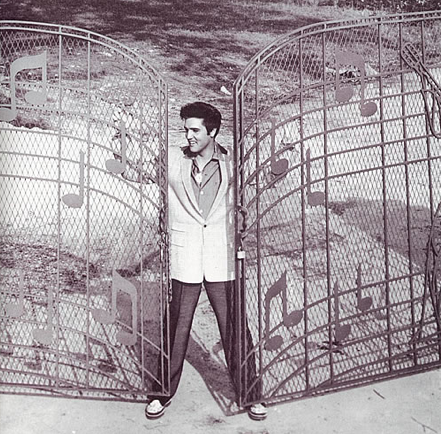 This entry was posted in ALL POSTS, Landmarks, The Big Events and tagged Elvis Priscilla Presely, Elvis Shrine Memphis, Graceland, Graceland Homestead, Peacock Lounge Elvis Presley. Bookmark the permalink. next time don’t miss the heritage of the peabody hotel long before elvis was born , a herald twice a day announces the famous duck walk. the ducks ride down the elevator, stroll down a red carpet leading to their pond; in the afternoon the herald’s trumpet sounds again and the little ducks march single file down the red carpet, onto the elevator and up to their roost for the night.. it’s a marvelous sight for all ages and not to be missed!! I cannot believe you did not mention the 707 in the parking lot across from Graceland!! That is quite a site as well. Next time you see Ali Williams ask her how much she hates Elvis. 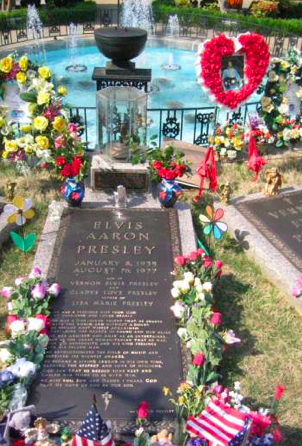 Lindy and I made her go there when she was way to young to appreciate Elvis and all the double knit we saw on the 10th anniversary of his death. Obviously I like your website, however you need to check the spelling on several of your posts. Several of them are rife with spelling problems and I find it very troublesome to tell you. On the other hand I’ll certainly come again again! Wonderful topic. My spouse and i been looking over this web site given that an hour or so previously. I ran across the simliar topic however this great site has far more indepth info of what I usually been looking regarding.